Welcome to our annual list of the 100 most influential people in the UK wine industry, covering retailers, suppliers, wholesalers, writers, TV stars and lobbyists. It was a pleasure to compile the list, because it is bursting with dynamism and entrepreneurialism and suggests the trade will continue to thrive with these individuals at the helm. Retailers occupy several top positions because they are the gateway to millions of consumers and their decisions shape the UK’s drinking habits and suppliers’ strategies. But overall they are outnumbered by suppliers and general influencers, who are doing a great job securing the future health of the wine industry and tackling the big issues facing the trade. As ever, it is likely to spark debate, but we hope you find it an enjoyable read. 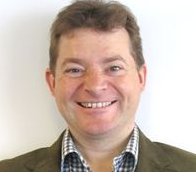 The Conviviality chief executive presides over an empire spanning the length and breadth of the country and taking in such big industry names as Bargain Booze, Wine Rack, Matthew Clark and Bibendum PLB. She starts her day at “horrific o’clock”, when she climbs into her mobile office in the back of a hybrid Porsche Cayenne. It is equipped with a printer and wifi so she can crack on with her work, ensuring that when she arrives at her destination she can get out and talk to employees, customers and shareholders. Conviviality has 2,700 staff and supplies 25,000 on-trade accounts, its own huge retail estate, independents and multiples, festivals and events, with more than 10,000 alcohol SKUs, so there is a lot of talking to do. The Cayenne heads from Bristol to Primrose Hill to Crewe – Conviviality’s regional hubs – and back again throughout the week, stopping at numerous retail outlets and depot centres along the way. On a quieter day, Hunter arrives home at 7pm, but says she never really switches off. In a restaurant or on holiday she is obsessing over why people are consuming, shopping and behaving in the way they are. Her influence is vast. The sprawling Conviviality empire takes in off-trade, on-trade, supply, wholesale, distribution, events and more. Heavyweight lieutenants include Michael Saunders, Andrew Shaw and Simon Jerrome, all big names in the wine trade in their own right. It supplies wines from every major producing region across the globe, and many obscure ones. She sits on the boards of the Wine & Spirit Trade Association and The Benevolent. You might say she has her fingers in a lot of pies. 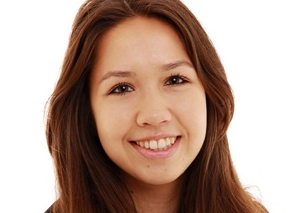 When Hunter took over at Bargain Booze she could see a vast amount of untapped potential. 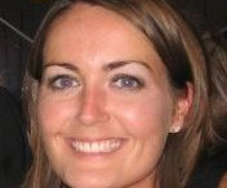 She started her career at Sainsbury’s, where she spent more than a decade in various roles after joining as a graduate trainee, before moving on to Waitrose, where she set up Little Waitrose. She realised Bargain Booze was only wholesaling alcohol to franchisees when it should have been supplying the entire UK trade, so she changed the named to Conviviality and led the company through an IPO in July 2013, growing revenues from £360 million to in excess of £1.4 billion. 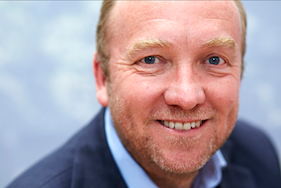 The retail empire has expanded with the acquisitions of Wine Rack, Rhythm & Booze and GT Retail, while huge deals for Matthew Clark and Bibendum PLB sent its turnover soaring. But she says Conviviality is not deal hungry. She has been putting together complementary businesses that are stronger collectively than the component parts, forging an empire bursting with entrepreneurialism, which has solid foundations from which to grow in the future. When asked if things will ever plateau for Conviviality, she shakes her head and a slightly panicked look seizes her face. “That´s not a word I recognise,” she says. It is hard to imagine Conviviality ever standing still with Hunter at the helm, and speculation will be fierce as to potential acquisitions, but the current business seems well placed for organic growth too. Tesco is no longer the swaggering big dog in the yard it once was, preferring to go about its business in an altogether quieter fashion nowadays. Its BWS team is a fair bit quieter too and Warburton embodies that. Predecessor Dan Jago had a wine trade background, having been managing director at Bibendum, and seemed to relish being a part of the trade at large, as he was always a revered presence at events, tastings and functions. 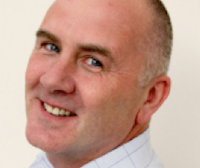 Warburton is a Tesco veteran, having been with the supermarket for more than 15 years, and his roles have included buying frozen foods, petcare and general merchandise. In 2014 he left his role as category director for beers and spirits to become category director for dairy. 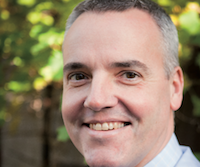 He returned six months later as BWS category director, but there is a sense that his next role would see him head up another division at Tesco rather than stay in BWS. Therefore, unlike many people in the industry, he is possibly not thinking about his next role in the trade and does not need to make himself such a vocal presence. Heads down and quietly getting on with the job seem to be the order of the day at Tesco. The team attends fewer events, sends out fewer press releases and is generally less vocal. Warburton has put the focus on Tesco shoppers and has his team working to that goal. He is not quoted in the press much and is not seen speaking at conferences. But you don’t need to make a lot of noise to be influential. Tesco has drawn much praise from industry insiders for the way it has overhauled its wine range, and plenty of suppliers have remarked on it being a pleasure to do business with the UK´s largest retailer. Warburton took a struggling category and turned things around, delivering a strong commercial performance thanks to a streamlined range that is easier to shop, using simplified price mechanics. You could argue that Aldi and Lidl paved the way for this model and their influence was strong because the Big Four were overhauling their strategies to follow suit. But Tesco seems to have achieved its goal now and can set about growing sales without worrying too much about them. It sells more wine to the UK public than anyone, and it has responded to consumer demand to give them what they want, so it would not be a surprise to see wine sales continue to grow in the year ahead. James is the poster boy for everything that has allowed the discounters to shake up the industry. 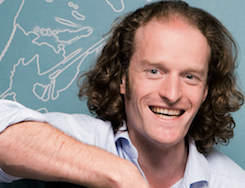 He has an excellent track record for buying wines that offer exceptional value for money, a reputation for driving innovation and an intuitive knack for shrewd decision-making. It led him to top this list in 2015 and 2016. Aldi is still going great guns, growing wine sales ahead of virtually all its rivals, and James continues to impress, recently launching an environmentally-friendly Green Collection, championing smaller formats such as Origin’s craft range and striving to make France a dominant player in the market. Aldi is tiny compared to Tesco and Conviviality, but it punches well above its weight thanks to James, and if he keeps up his dynamism and diligence he could be back on top again soon. Waitrose heavily over-trades in wine compared to its share of the grocery market, thanks to the exciting range Petrassi and his team have put together and the pleasure that can be garnered from browsing its wine aisles. Drinking less but better is a phrase you hear a lot when industry insiders talk about British consumers, and Waitrose is better placed than any other multiple retailer to tap into this. It has more MWs, including Petrassi, than any other supermarket and has a deeply respected buying team. It is a pioneering champion of English wine, but you cannot pigeonhole Waitrose as it is so strong across the board, and Petrassi is a thoughtful, responsible retailer who sets a great example to others in the trade. Concha y Toro has been the runaway success story of the wine trade in recent years. Flagship brand Casillero del Diablo has become the UK´s fourth largest brand, despite commanding a considerably higher price point than the rest of the top 10, and the growth figures on all its brands are superb. In 2016 Casillero del Diablo grew 46.1%, Isla Negra 21.2%, Viña Maipo 36.1%, Cono Sur 21.2%, Frontera 6.5% and Trivento 62%. Every brand has a purpose and is going after a different type of consumer, with great success. 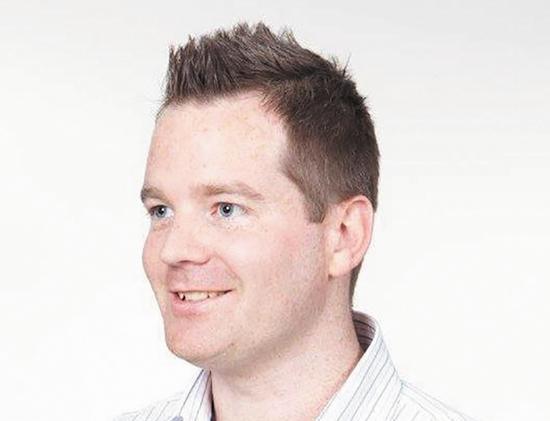 Doyle has put together a team of bright, talented individuals who are helping the company realise its potential. It set up its UK subsidiary in 2001 and has become a top-three wine supplier, demonstrating great commitment to the market. It has been so successful that Sainsbury’s launched its own Chilean brand, Camino del Angel – which looks remarkably like Casillero del Diablo. But an increased focus on convenience should see CyT’s fortunes continue to soar. Jago was a serial number one on this list during his time heading up the Tesco BWS team, when he was far more in the public eye than his replacement is now. 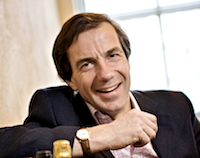 He returned to the list at number 19 last year after he took the top job at Berry Bros, the UK´s oldest wine merchant. 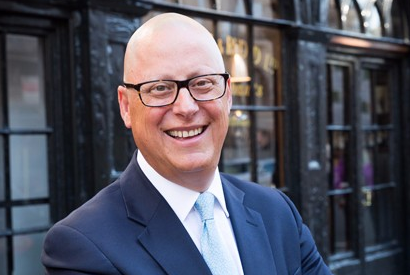 He has soared up the chart in 2017 after guiding BBR to its best performance in years, and becoming chairman of the Wine & Spirit Trade Association. He now moves in different circles – Berry Bros´average wine price is worlds apart from Tesco´s and it plays in a vastly different arena – but Jago can wield considerable influence over the trade and consumers in both roles. 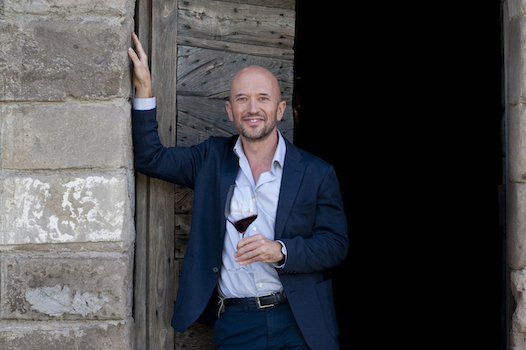 He presides over an iconic venue that hosts a busy calendar of events, while keeping the Royal Family from going thirsty and working with the likes of Hunter and Petrassi on the WSTA board to help secure the health of the wine trade. 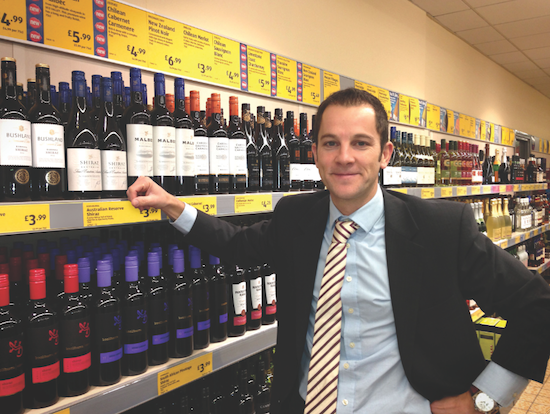 Sainsbury’s raised eyebrows when it axed 40% of its wines under £6 in a recent range review. That is a big step towards the trade’s holy grail of premiumisation, as Sainsbury’s is the UK’s second largest wine retailer. Newman has just presided over its biggest range review in years, simplifying pricing and making the fixture easier to browse. The team has added points of interest by bringing in wines from the likes of China and Uruguay. The UK’s fourth-largest grocer continues to impress consumers, blind-tasting panels and wine writers with its own-label range, sourced by Jarman’s team, which spends a lot of time working with winemakers around the world. It won IWC Supermarket of the Year for a second year running, with a 28% increase on medals against the previous year. This endorsement from experts is testament to the team’s work. Jarman says he is pushing quality and trying to introduce Morrisons shoppers to interesting new wines. Gormley is ready to roll up his sleeves and get more involved in the retail business after John Colley – who had run the Majestic Retail arm – left to join Hobbycraft. 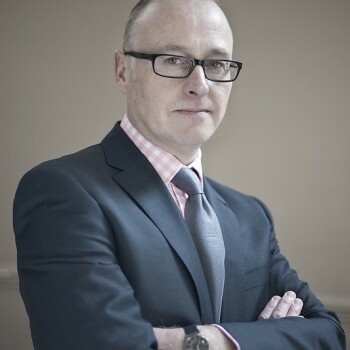 Rather than replace him, Gormley is adding Colley’s responsibilities to his current role, which involves running the overall business, including Naked, Majestic Commercial and fine wine arm Lay & Wheeler. 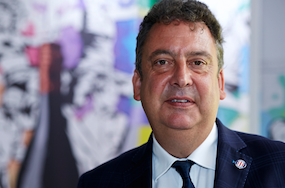 The business was faltering when Majestic bought Naked and installed Gormley as chief executive, and he has started to turn it around, but results have been a mixed bag and there is a long way to go still. Cairns has had a busy year at The Co-op, implementing a sweeping overhaul of its range and ensuring stores are stocked according to local demographics rather than a one-size-fits all method. It has been rewarded by soaring sales. Wine has been The Co-op’s most successful category since the relaunch, and the £7-£8 sweet spot is driving growth and adding value to the market. It continues to champion Fairtrade and Cairns has embraced innovation, earning plaudits from many suppliers. 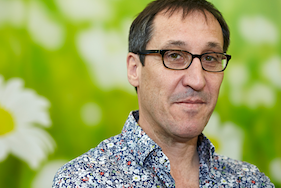 The successor to Rob Harrison in the top job at Accolade has one of the most impressive CVs in the UK drinks sector, covering both big-name retailing and major FMCG brands on the supply side. 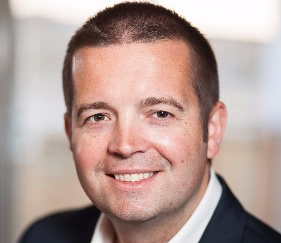 He’s occupied a number of senior roles at Asda, with the biggest wine-focused position a spell as category director for BWS. 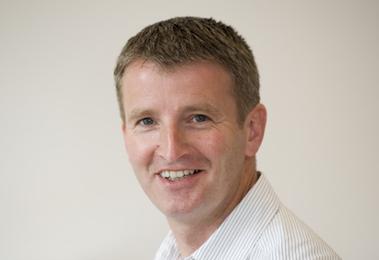 He joined Accolade in March from the retail arm of Irish wholesaler Musgrave and has also headed Cobra Beer and Beam Global’s UK arm. 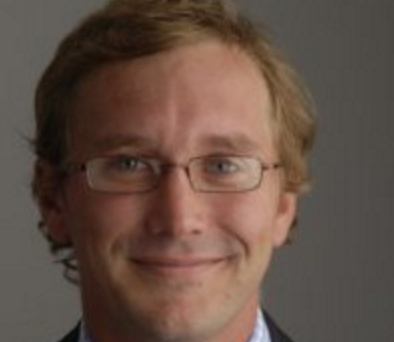 At Accolade he oversees a brand portfolio that has as many big hitters as his resumé, including Hardys, Echo Falls and Kumala. Pernod Ricard has cornered the market for branded Rioja in the high street in the past few years with Campo Viejo, whose Tempranillo is the off-trade’s best-selling red wine of any type. Brancott Estate has designs on taking the same position in the crowded world of Kiwi Sauvignon, but for now has to settle for the number two spot. With Jacob’s Creek also providing Aussie firepower, Ellis presides over a formidable wine portfolio. 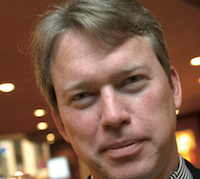 Loyalty to the cause seems to be important to Ellis, whose 13 years and counting with Pernod followed a decade with the German beer brand, Holsten Pils. The WSTA has emerged as a champion of the blossoming English wine industry as it flexes its muscles on the world and domestic stages. Beale has been at the front, talking up vineyard, production and export stories to generate column inches in the broadsheets. But it’s as the gatekeeper of the UK wine sector’s business interests that the former DEFRA and cabinet office EU affairs mandarin will play a major role in the months and years ahead, hopefully helping to shape the post-Brexit landscape into a model that secures the trade’s best interests. Laithwaite and wife Barbara have built the group that trades mainly under the family name to be the UK’s biggest home delivery wine business, making them fixtures on the Sunday Times Rich List for their personal fortunes. Today the company lists 1,500 wines and sends boxes to 700,000 customers, but it had much more humble beginnings. It’s almost 50 years since then-student Tony began bringing cases of wine home on the train for a few family friends from the Bordeaux vineyards where he’d been working in the summer. Recent developments have seen Laithwaite’s in cahoots with Ebay and look to extend its shop estate to more locations in wealthy areas of the UK. M&S has never been shy of doing things differently. It was the first multiple to deploy its own winemakers out in the field rather than just send buyers on scouting missions, while more recent times have seen it take the initiative on convenience packaging such as pre-filled plastic glasses. So it was little surprise that it should break down the considerable UK barrier faced by Bolivian wine when it started selling a Tannat/Malbec blend last year. Webb took the top job in January and her impact on the trade is likely to increase as M&S looks to extend its coverage of high street, railway hub and service stations with hundreds of new Simply Food openings over the next few years. With Ben Hulme moving to Germany to head Lidl’s international wine buying operations, Krettmann was thrust into pole position on the discounter’s UK wine team in 2016, just a couple of years after joining the firm as a graduate trainee. 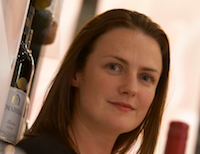 With Richard Bampfield leading a team of three consultant Masters of Wine, Krettmann has plenty of back-up as she sets about increasing the frequency of the chain’s Wine Cellar promotions and the number of wines featured in them. The campaign has helped secure a reputation for Lidl as a destination where shoppers can rely on exceptional quality at accessible prices. More perhaps than any other supermarket, Asda has found itself squeezed in the modern wine retailing landscape. Falling between the discounting of Aldi and Lidl, the everyday-ness of Tesco and Sainsbury’s and the a-bit-posh-ness of Waitrose, it’s struggled to establish standout in the category. 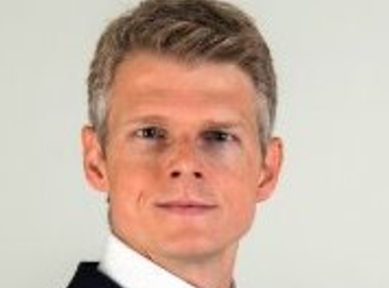 Betts could be the person to lead it back into the limelight, with six years’ commercial experience at Asda under his belt – the last four within the wine team – preceded by eight at the specialist sharp end of the wine market in online and customer service roles with Majestic. Jewell chalks up 20 years as an MW in 2017 – two decades in which she’s earned the respect of her peers on both sides of the fence that the trade likes to imagine separates suppliers from retailers. 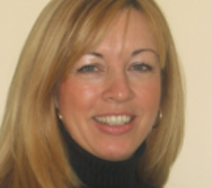 Her background includes stints with Waverley Vintners, Spar, Sainsbury’s, Tesco and erstwhile agency company HWCG. With such a versatile CV she was perhaps something of a shoo-in to head the generic body that represents Australia, the biggest value and volume-supplying country to the UK off-trade, when the vacancy arose in 2015. 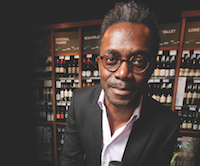 Talk of the Oddbins resurgence has almost become a wine trade cliché since Akintola took over as boss on its acquisition by European Food Brokers. It’s hard to believe that was six years ago, but time flies when you’re having fun, and Akintola and his team have certainly been doing that. Oddbins has rediscovered its mojo in buying, adding fresh sizzle to its pre-millennium reputation for unearthing quirky gems from far-flung corners of the wine world. The Akintola regime has also embraced the maverick spirit of the marketing of the chain’s so-called golden era, while reinventing it for the digital age. King will be the most reluctant recipient of a place on this year’s list, having unexpectedly stepped into the top UK role following the death of previous incumbent Dan Townsend in March. King came to the drinks industry after a spell in corporate restructuring at Ernst & Young and in the subsequent dozen or so years has largely been immersed in travel retail, first with Bacardi and then with his current employer. His most recent role covered Treasury’s central and eastern Europe and global on-trade and travel retail. He now takes on a portfolio of blockbuster brands in the UK that includes Blossom Hill, Penfolds, Lindeman’s and Wolf Blass. While most on this list are in some way responsible for promoting moderate wine consumption as a source of social and economic good, Sir Ian presides over a coalition of health organisations with an agenda to raise awareness of alcohol-related harm and chip away at sales. While the importance of the fight against problem drinking shouldn’t be trivialised, Gilmore’s vociferous backing of tax rises and outspoken criticism of alcohol marketing often seem at odds with balanced debate on the issue. 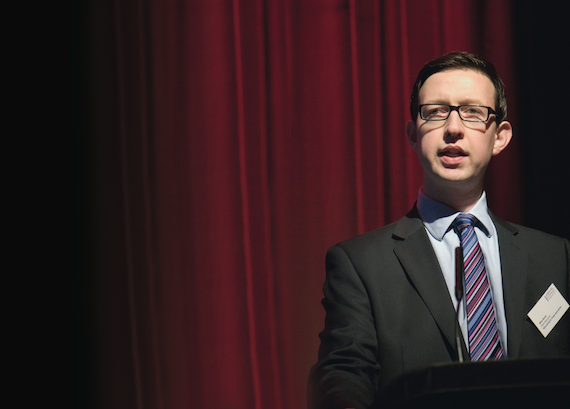 Most controversially, he sat on the panel that drew up revised personal drinking guidelines published last year. 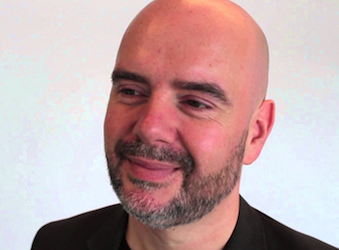 Fattorini gets the nod as the person on this year’s list with the most unusual mix of jobs. 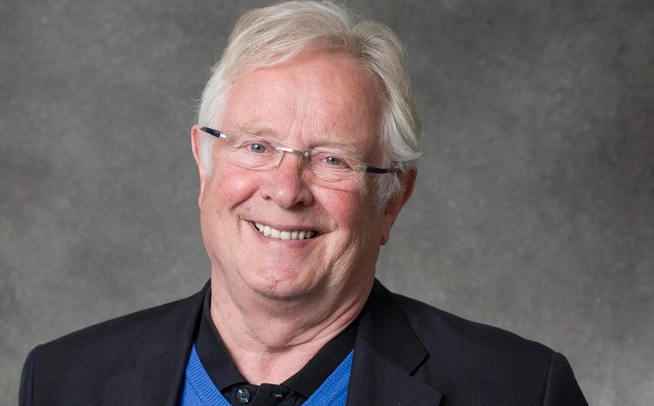 He shot to industry prominence as the presenter of ITV’s The Wine Show, the programme that gave TV wine a Top Gear-esque spin by taking it out of the supermarket aisles and into the vineyards. And, perhaps most significantly, to pre-peak time consumption – Saturday teatime viewing. Repeats of the series screened recently, which Fattorini could presumably watch on catch-up from his desk at Conviviality, where he still holds a day job as internal communications manager for the Bargain Booze/Matthew Clark/Bibendum axis. 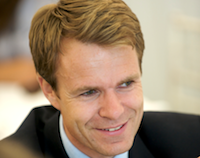 Christensen helms one of the UK’s biggest specialist wine distributors but there were still some raised eyebrows in the trade when he took on the role in 2015, with his CV featuring the top jobs at mammoth branded wine suppliers Constellation and Accolade. 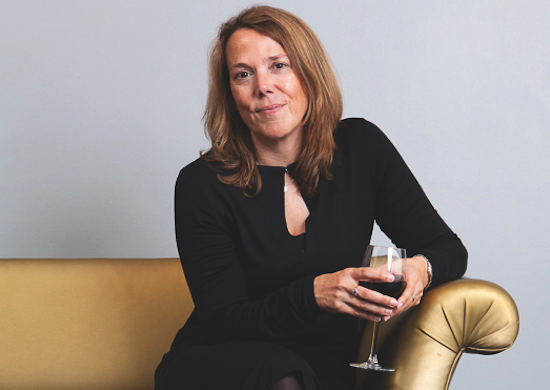 His tenure at Enotria has seen the company expand on the good work done by his predecessor, Alison Levett, most notably with the acquisition of Coe Vintners. Christensen has been banging the drum for premiumisation of late, urging multiple retailers to learn from the swank and swagger of the on-trade. Virgin has re-emerged as a serious force in wine e-commerce since Wright led a management buyout of the company from Direct Wines in 2013. The business capped a record year in 2016 by winning the Online Retailer gong at this year’s Drinks Retailing Awards, a reward for innovation and a strong focus on customer service. 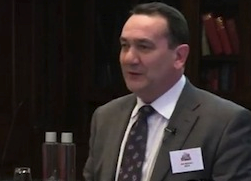 Wright has also emerged as a cheerleader for the wine trade in post-Brexit times, publicly urging his peers to stop moaning about exchange rates and focus on the strengths of their businesses to boost morale and profitability. The Tesco merger with Booker could yet prove to be the big game-changer in the UK convenience market, but for now Evans has control of the wine range that goes into more retail locations than just about any other in the UK. The group supplies 2,400 neighbourhood, transport hub and petrol station sites, turning over a combined £3 billion-plus. 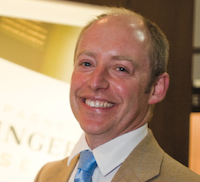 Evans spent two years as group wine and Champagne buyer for Thresher owner First Quench from 2007-2009 and returned to the UK off-trade with Spar in December after seven years with Swiss travel retail group Nuance. The sale of the company he founded with Paul Murray has done nothing to diminish Copestick’s standing in the off-trade. 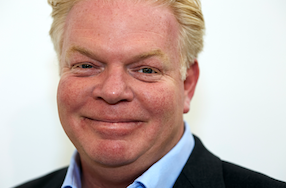 He is still the public face of Copestick Murray following its acquisition by German fizz-maker Henkell, which seems only to have strengthened the firm’s hand in a market where its I Heart range is a leading player in convenience. Copestick now has designs on dominating in Prosecco – the most booming of all booming drinks categories – with big plans for the Mionetto brand as well as I Heart Prosecco. It’s five years since Dyer crossed the great divide, leaving his senior wine buyer role at Sainsbury’s to join one of the UK’s leading Aussie importers to the UK. 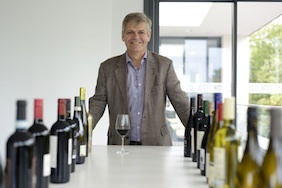 Having taken on the top job just months later he’s since worked with Neil McGuigan, of the McGuigan Australian wine company, to turn its eponymous brand into one of the most forceful players from that nation in the UK take-home trade. A succession of awards has inspired the company to target independents in addition to its traditional multiple base in a bid to persuade consumers to pay more for Aussie wine. Wine was one of the first product range additions that shop owner Edwin Booth brought in when he set out to grow his one-outlet business in Victorian Blackpool. A century and a half later the chain has 28 shops and wine remains a cornerstone department for what has become one of the UK’s leading regional supermarket groups. Some like to think of it as north west England’s very own mini-Waitrose. 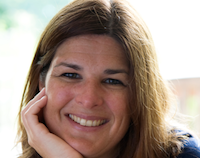 Di Muccio has led a successful push to build own-label sales with a revamp around classic regions, and has engineered a big range expansion in English wine. The importance of advisory apps in prompting mobile sales among the millennial generation shouldn’t be underestimated – and Vivino is out in front with what it claims is the world’s most downloaded wine app, with more than 20 million users. Its Checkout function allows indies and producers a direct route to users’ smartphones, a benefit that Roberson in London has been among the first major players to seize on by signing up. Vivino’s latest Market innovation is billed as “the Netflix of wine”, which, if true, seems sure to make founder Zachariassen a wine industry superstar of the future. McGrath has headed the agency company for 23 years now and kept it on a steady course, successfully navigating the company’s portfolio through both multiple and independent channels. Hatch Mansfield retains credibility in both sectors by maintaining a consistent portfolio of some big names in wine – Taittinger, Errazuriz, Louis Jadot, Caliterra and Villa Maria among them. But all are of the type that can engage trade and consumers about aspects such as terroir, winemaking skill and provenance, rather than price promotions. McGrath is also now a face in English wine through Hatch’s involvement with Taittinger in Domaine Evremond. 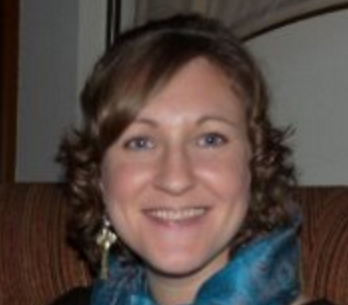 She hit the headlines this year for donating her life’s work to the University of California, Davis. The donation, which includes four decades of tasting notes and 275 notebooks, will now sit alongside collections of other wine writers in “the greatest wine library in the world”. 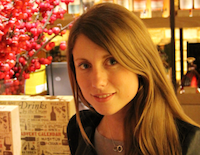 Meanwhile, her website – jancisrobinson.com – partnered with the WSET last year to launch the Outstanding Alumni Award, which celebrates a WSET Diploma graduate who is notably contributing to the industry. Last year Gallo’s popular Barefoot brand climbed up to sixth position in the table of the UK’s bestselling wine brands, making it the fastest growing of any in the top 10. Roberts was influential in Gallo’s decision to add Malbec and Chardonnay to the Barefoot range last year. He also helped develop the Gallo Family Vineyard Spritz range of 5.5% abv drinks with new variants. In March this year Boutinot purchased Henners Vineyards in East Sussex, its first foray into English wine. It now makes wine in France, Italy, South Africa and England. Whiteley continues to develop both the importing and producing arms of Boutinot and other additions to its portfolio last year included a newcomer to its Italian collection with wines from a vineyard in Sicily. 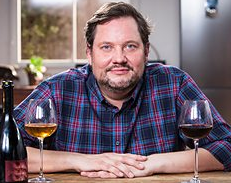 The BBC1 cookery show features an impressive collection of wine experts, including Susy Atkins, Susie Barrie MW, Sam Caporn MW, Sandia Chang, Jane Parkinson, Peter Richards MW and Olly Smith. Each of the guest chef’s dishes are paired with wine chosen by one of these key figures and the strength of the show’s guest lists ensures these experts continue to be highly regarded in the world of wine, while retailers often note a surge in sales of any of the wines they have recommended the previous weekend. Liberty Wines had a high-profile year last year with the news that Portuguese-based wine group Sogrape was to buy a minority stake in the company. 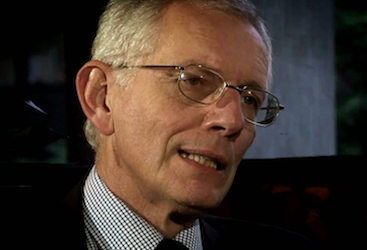 Gleave played a key role in negotiating the deal, which took a year of discussions before an agreement was reached. As a result of the deal, Liberty now distributes Sandeman port, Bodegas Lan, Château Los Boldos, Casa Ferreirinha and Finca Filchman, alongside an existing portfolio of more than 1,000 wines. Gleave also appeared on the Telegraph’s Food Power List 2017 as one of 50 tastemakers changing the way we eat and drink. Bewes admitted this year that rising overheads caused by currency fluctuations had put pressure on Hallgarten’s profits, but the company is still in very good shape. Bewes has been working hard to “recalibrate” by introducing new wines to ensure it can hit the price points consumers expect to pay. Zorzal from Argentina is one of its latest newcomers as the portfolio evolves. on the BBC’s Food & Drink series with host Tom Kerridge. He was recently chosen to head up the wine element of drink-related talks at the Epicurean, London’s first dedicated artisan drinks event. One of the select group of MWs on this list, Tynan heads up Alliance Wine. The Ayrshire-based company, which imports, distributes and produces wine, now represents brands from 16 countries around the world and is one of the UK’s leading suppliers. 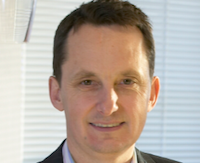 Tynan joined Alliance in 2009 and has been chief executive since 2012. 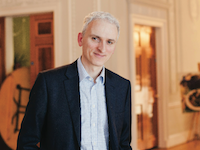 With Champagne sales under pressure in the UK, Moët Hennessy’s response has been to up NPD and luxury, with a focus on art and culture and link-ups with high-end retailers, such as Selfridges. Through its Veuve Clicquot brand it became the first Champagne house to team with on-demand delivery service Deliveroo, allowing users of an app to have pre-chilled bottles of its Yellow Label Brut brought to them in 20 minutes. 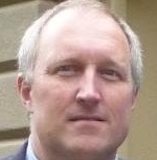 With 27 years at the company, newly appointed Steip is ready to continue this activity. Fontannaz has always been keen to push forwards with innovation in wine and 2016 was no exception. Projects last year included smaller formats and a “craft wine” collaboration with Aldi in 50cl bottles. More recently Aldi also had Origin to thank for its groundbreaking Origin Pure No Sulphur Added Cabernet Sauvignon 2015, which formed part of the retailer’s environmentally friendly Green Collection. The no sulphur added concept sits alongside other wine innovatives in this collection, including carbon-neutral and organic options. off-trade is growing and, as the senior manager for its BWS arm, O’Keefe is in the driving seat for the online giant in this sector. Wine producers are increasingly teaming up with Amazon to seek new routes to market, while it has also partnered with retailers – from indies to Virgin Wines – to allow them to target its broad customer base through Amazon Marketplace. Having moved over from Berry Bros & Rudd in 2012, McMillan has worked hard to drive sales, awareness and innovation at a company that is often described as the world’s oldest wine club. Most recently he promoted Pierre Mansour to the role of head of buying, giving more weight to an already impressive line-up that boasts three Masters of Wine in its eight-strong wine team. 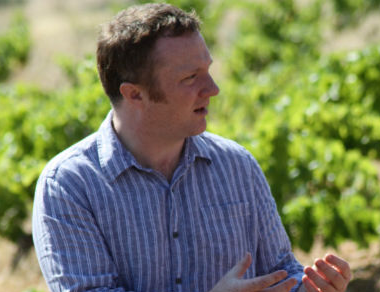 Knock, who owns independent wine merchant Philglas & Swiggot, along with business partner Damian Jackman, is now the face of Californian wine in the UK after replacing John McLaren. He is used to wearing a number of hats as he has juggled winemaking, consulting and educating throughout a broad and varied career in the wine trade, but he must be busier now than ever as he seeks to convince UK shoppers to buy into mid-tier Californian wine. 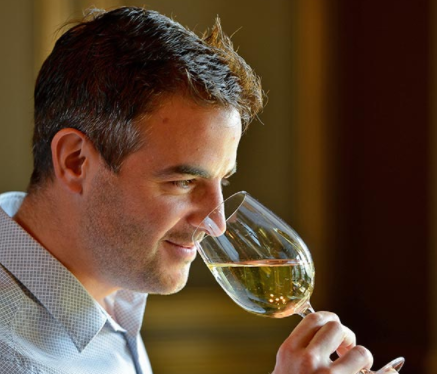 One of Smith’s most recent projects sees him host a new wine podcast, A Glass With, produced by DRN columnist Richard Hemming MW, where he chats with an unlikely and eclectic line-up of guests that has included pop star Pink, actor Sam Neill and cricketer Stuart Broad. 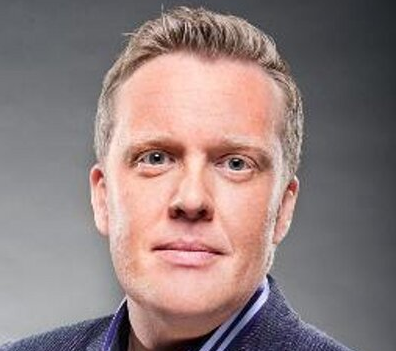 Alongside this he has a large following from his Mail on Sunday column and is a familiar face on the presenting circuit, while he also consults for numerous companies, including P&O Cruises. Under the watchful eye of Kears, LGCF, which is the largest exporter of French wine to the UK, juggled some key projects last year, most notably a major packaging refresh for JP Chenet as well as promotions and sponsorship activity for its Calvet brand. It also expanded its empire with the purchase of a further 520ha of vines across a number of key appellations. 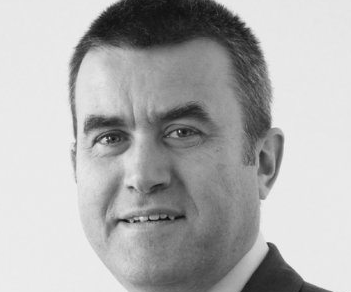 Kears was appointed UK managing director last year, a promotion from his previous role as UK off-trade director. Deliveroo is a new name in the off-trade but it’s already made waves in this market with Warne at the helm. The company’s alcohol delivery service launched last year and was generally welcomed by drinks retailers, many of whom claimed it had helped bring in new business as well as adding a reliable, trusted name as a delivery arm to their existing operations. The beer and spirits categories have been quicker to team up with Deliveroo, but it has a number of wine retailers on its roster, from Majestic to fine wine specialist Friarwood. With more than 25 years at the company Moody has a wealth of experience in fine wine, fortified wine and the UK market. 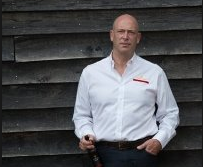 He has long been a champion of the overall port category in the UK and he believes in the drink’s continued consumer appeal, driven by innovation from key Fells brands such as Cockburn’s and Graham’s. 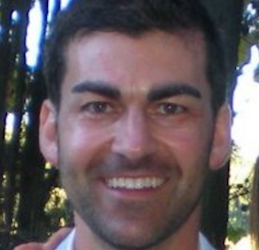 Within the last two years Moody increased his buying team to boost the company’s levels of service to prestige customers. As an early adopter of crowdfunding, Chapel Down and Thompson showed the whole drinks trade a new way of building business, not just English wine producers. The company recently raised £4 million to improve its vineyard operations, plus a second batch of funding for its ciders and beers. The company also hit the headlines last year when it was announced it would replace Bollinger as the official partner of The Oxford & Cambridge Boat Race. Since moving over to Jeroboams from Berry Bros in 2015, Sturges has been on a mission to fine-tune each of the wine merchant’s stores before setting out to grow the business further. Earlier this year he announced he was now ready to replicate the success of its “London villages” stores – currently in Hampstead and Notting Hill – with plans to open two shops a year until it becomes a small chain of 12 in the greater London area. At the end of last year South African producer Distell highlighted the UK as a key region for growth and this year it expanded its British team with a new European head office in Richmond and an in-house distribution strategy. Walsh now leads a team which sells and markets a raft of brands under the Distell umbrella in the UK, including Nederburg and Fleur du Cap. In the past year, and under the stewardship of Harris, the leading body for wine and spirits education opened an office in Asia and launched an award for outstanding diploma graduates. More recently, the WSET said it planned to increase awareness of its courses, starting with a series of workshops at the London Wine Fair. The key focus of these sessions will be to demonstrate how WSET courses can help make a difference to profit margins. Among other projects, Clarke has been instrumental in helping to raise awareness of the growing success of English wines. 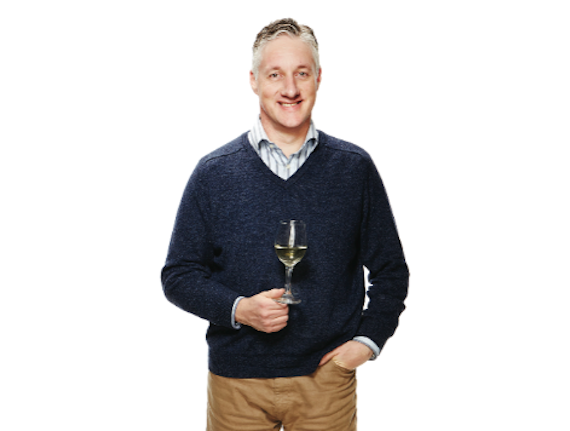 Last year he performed the official opening of the new Simpsons winery in Kent, while more recently it was announced he would lead the inaugural UK Wine Awards, alongside Susie Barrie MW and Hamish Anderson. He also regularly appears at events as one of the Three Wine Men, with Tim Atkin MW and Olly Smith. Thorpe has great belief in the potential for premium Australian wines in the UK and he continues to work on showing the diversity of the country’s wines, which, he says, can offer retailers more interest and more profit. In the past year the Australia and New Zealand specialist importer introduced a number of new wines into the UK market, via its brands such as Oxford Landing and Marlborough’s Nautilus Estate. Nisa’s recent wine festivals, masterminded by Breslin, offered much more than a collection of wines on promotion. In Nisa stores the event not only featured a range of specially selected wines but the activity matched up wines for big-night-in events, such as “the perfect wine” to watch a movie with’ and “the ideal wine for a romantic evening”. Breslin made the decision to repeat the event in September last year after a successful spring promotion, which brought in additional sales of around £1.2 million. 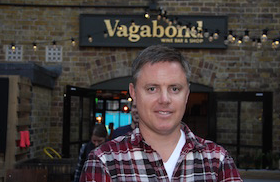 The success of the Vagabond concept – which neatly blends retail outlet and wine bar – has propelled its founder further into the limelight over the past few years. 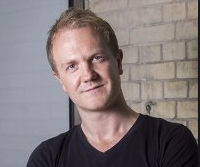 Last year Finch revealed that his to-do list included new stores in the capital, a microbrewery and an urban winery. His desire to innovate in wine also pushed Vagabond into the top spot on OLN’s list of the UK’s 50 Best Independent Drinks Merchants of 2016. Despite a challenging retail environment in the UK, Hawes continued to seek out new opportunities over the past year and he has worked hard to ensure Bollinger – the Champagne brand distributed by Mentzendorff – tapped into the growing consumer desire for more unusual wines. 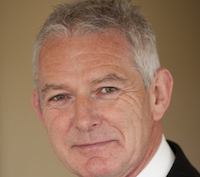 He also keeps a focus on the company’s Fladgate Partnership of port brands – Taylor’s, Fonseca and Croft. Sales of Chilean wine are soaring in the UK and Britons clearly have a fondness for a range of different varieties from this New World nation. Jackson’s impact on helping to push the profile of Chilean wines in the UK is clear. In October last year Chile became the UK’s fifth largest wine supplier, leapfrogging Spain and South Africa, and sales continue to grow, particularly in the off-trade. She looks to continue with her focus on consumer and trade education for 2017. 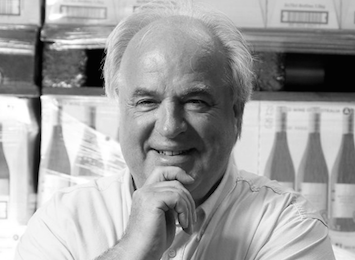 Marshall’s wide-ranging knowledge and years of experience in wine – in addition to his many years of working for Adnams – has helped the company to fulfil its aim of raising the profile of its wine shops. While Adnams is best known as a brewer, thanks to Marshall the company is increasingly gaining recognition from the wine industry for the quality and execution of its inroads into wine. Alongside this the Southwold-brewer is proving it can wear multiple hats by pushing forward with its high-quality range of hand-crafted spirits. 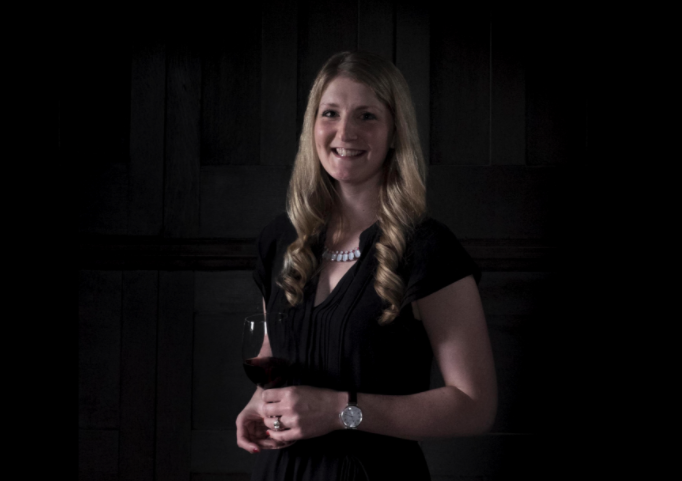 South African wine is pipped for further success in the UK in the years ahead and the renewed enthusiasm for the nation shows the impact Jo Wehring, in her ambassadorial role, has had over the past year. Last year saw the first standalone Wines of South Africa tasting since 2011, which was met with a lot of positive trade feedback. Wehring is confident this buzz will be just the start of a premiumisation trend for South Africa. Cochrane is upbeat about Spain, despite the nation seeing a reversal of fortunes last year. Cochrane believes Spain will head back into growth in 2017, buoyed by its “wonderful viticulture environment” and he is gearing up for renewed interest from UK consumers for Spanish wines at the value end of the market and in premium tiers. He is confident Félix Solis, with its wineries in La Mancha, Ribera del Duero, Rueda, Rioja and Toro, is in a strong position to tap into this. James Tanner is the fourth generation to head up the seven-strong chain of wine merchants called Tanners, which has been family-run since it started in 1842. The company, recently described by wine columnist Jane MacQuitty as “a Shropshire gem”, has continued to increase the diversity of its wine ranges as well as investing in expansion. Its most recent outlet is a converted cinema in Chester, while it also increased its warehouse space in Welshpool last year and made improvements to its website. Sagar was pivotal in masterminding the strategic integration of Bottle Green into the Kingsland business last year. Since then he has been able to push forwards with a raft of innovative activity for the independent wine supplier, including the creation of a rosé fruit fusion drink in a pouch format and the launch of Willow & Stone, Kingsland’s range of British wines. Last year the company unveiled its new carbonation line, allowing winemakers to produce sparkling and infused wine drinks. 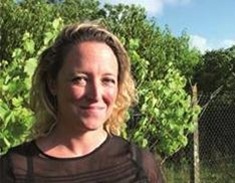 The Wine Anorak, who has a PhD in plant ecology, has again secured a place on the Top 100 list, having had another high-profile year writing about wine for a host of different publications. His Daily Express column attracts considerable interest and his challenging tone is apt to spark debate. With Fokina at the helm the luxury drinks retailer continues to maintain its image as London’s most glitzy wine boutique, boasting some of the rarest and priciest bottles of wine in the world. But Fokina says a second store won’t be on the cards because it would take away from the uniqueness of Hedonism Wines and its position as “the finest wine shop in the world”. and the next half-decade being pregnant. 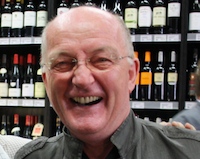 Hal Wilson set up Cambridge Wine Merchants with his friend Brett Turner in 1993 and it continues to go from strength to strength, with multiple award wins across the company. In recent years the duo have invested in improving the retail and wholesale offering, and the business now operates four shops, three of which incorporate wine bars, along with complementary services such as The Cambridge Wine Academy, a certified WSET course provider. Earlier this year one of Scotland’s leading wholesalers – guided by Russell – revealed its fully revamped wine portfolio, the result of three years spent overhauling its list following the acquisition of Forth Wines in 2013. The enhanced collection shows a greater focus on exclusives and premium labels, and that puts it in a strong position to gradually increase its operations further into England and Wales, where it has a burgeoning off-trade business. The wine importer, which also owns one of Europe’s largest bottling facilities, aims to be “the greenest wine company in the world” and a key part of Cleary’s role as managing director has been to make a conscious effort to ensure Lanchester’s operations are as environmentally friendly as possible. 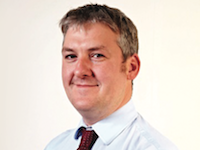 Lanchester has also been carefully strengthening its buying team, with the most recent appointment being former Co-op buyer Barney Davis. When three high-profile UK wine professionals – including former Ehrmanns director Wilson – launched their own distribution company in partnership with three wineries in 2014, the wine world kept a watchful eye on its progress. After some quiet relationship-building years, the company decided that this year it was ready to shout about its success, starting with its inaugural tasting, where it displayed an impressive wine collection and a raft of NPD aimed at millennials. The success of New Zealand wines in the UK and, in particular, the higher-than-average prices fans are prepared to pay for these wines, shows that the considerable time invested by marketing manager Stroud has paid off. Looking ahead, Stroud is on a mission to shout about the diversity of New Zealand wines with new regions and grapes for UK consumers to discover. This year he helped support a campaign to highlight NZ Pinot Noir. Broadland Wineries announced last month that it would be introducing 57 new wines to the UK market this year, all developed following the results of consumer insight research by the company. In the past two years, under the direction of Woodrow, Broadland has introduced 101 new branded products and 52 private-label lines. Woodrow is responsible for wine selection, blending and NPD. As the head of wine importer Buckingham Schenk, Durham led the team to a victorious end to 2016 with turnover up 19% compared to the previous year, driven by Prosecco sales up 22% in 2016. The company also strengthened its Spanish operations last year with the acquisition of a new winery and the introduction of two new Spanish brands into the UK. This year it also added Australian and New Zealand ranges. Although the market has been turbulent for Champagne, Lanson, led by Beavis, has continued to invest in the UK with activity such as its ongoing role as sponsor of the Wimbledon tennis tournament. In January it established a new partnership with a five-year sponsorship deal with London’s O2 venue. And last year a rosé from its portfolio was hailed the UK’s best-selling rosé Champagne – according to Nielsen data – just in time for Valentine’s Day.